Surrounded by Australian bush gardens, this secluded retreat has magnificent views across the Barossa reservoir and surrounding Mt Lofty Ranges. Situated in the beautiful Old Barossa Goldfields this "Heritage Listed" farm cottage has been fully restored to retain its heritage charm and appeal. Brass and iron beds along with those special little touches help make your stay one you will remember. 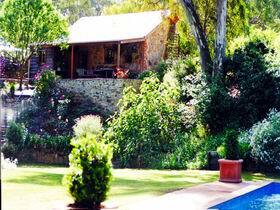 Relax in front of a cosy open fire in Winter or under a shady verandah in summer. Stroll to the goldfields trail, bushwalk through the National Park, explore the nearby wine region or just enjoy the valley views. 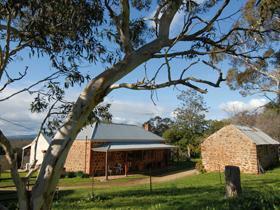 Miners Cottage is located in the old Barossa gold fields. This restored eighteenth century stone Miners Cottage includes a living room with open fireplace. 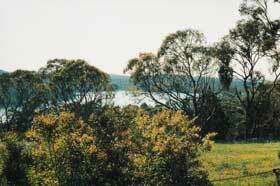 Enjoy quiet environment with walks to Whispering Wall. This secluded homestead overlooks the waters of the Barossa reservoir, close to the Whispering Wall, its bush gardens providing glimpses of wildlife and a haven for birds. 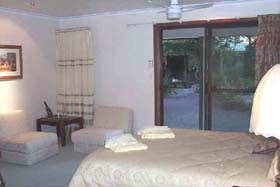 The accommodation provides both self-contained and hosted suites and a family unit. All guests have their own entrance with a dining room, lounge and fully equipped kitchen available to guests. 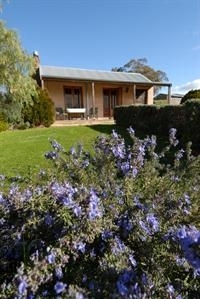 The property is close to the attractions of both the Barossa and the northern Adelaide Hills. Enerby Farm Cottage is situated in the old Barossa Goldfields, the cottage is part of other historic farm buildings which make up this collection of early Australian farming, on approximately 10 acres. 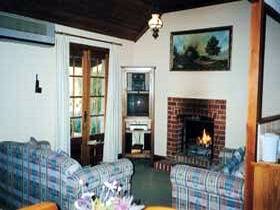 Enerby Farm Cottage is heritage listed stone cottage circa 1900.